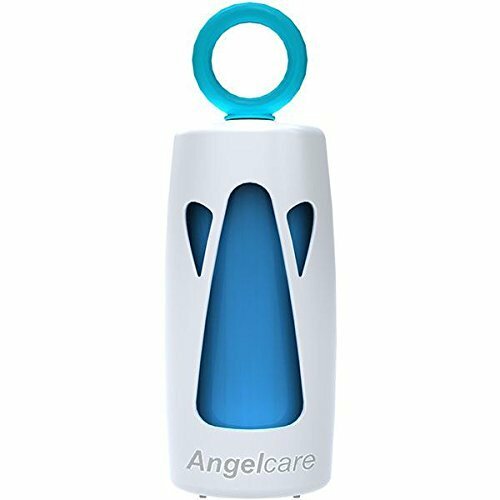 The Angelcare On the Go Dispenser & Refill Bag is there to help dispose of soiled nappies wherever you are. The Easy-Knot System nappy bags are made with the same unique Multi-layer film as the Angelcare Refill Cassettes. This acts as an effective, proven and trusted way to lock-in and seal-in odours. The contour shaped bag design helps to reduce excess waste. Each Angelcare On the Go Dispenser comes with one roll of 25 On the Go Bags included. Ensuring while you’re On the Go you’ll have bags at hand to help dispose of those unwanted nappies; with no smell, no scent and no odour.